Back by popular demand, Sharmadean Reid, founder of London's hip WAH Nails salon, introduces readers to even more nail art. 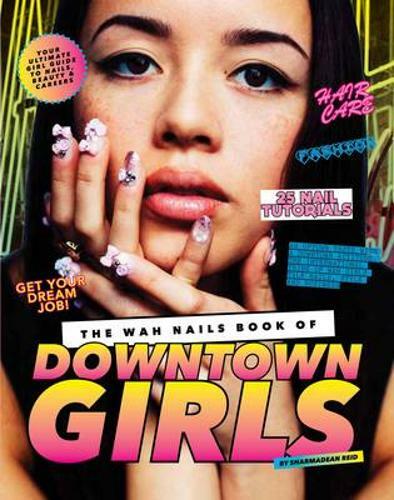 Featuring hot new nail designs that will make any outfit pop, along with a selection of 3D nail projects, The WAH Nails Book of Downtown Girls presents the best of the best from the streets of London and New York. Along the way Sharmadean uses her stylist's know-how to offer up hot tips on how to style yourself up to suit your banging talons - read up on the WAH wardrobe essentials, and learn how to update your look on the cheap. Sharmadean also shares the stories behind her favourite downtown girls and how girls like them have followed their dreams, from heading up your own club scene to starting a business like WAH or fashion website IntoTheGloss. For any girl wanting to look a million bucks on a budget and get into the 'downtown' groove, this is the perfect style bible from one of London's best-known movers and shakers.